Network With Our Competitive Digital Marketing Tools & Solutions. WE ARE ENDEAVORING TO GIVE RESULT-DRIVEN MARKETING STRATEGIES AND SOLUTIONS TO OUR CUSTOMERS AT FORCEGROWTH. WE BELIEVE IN OFFERING VALUE FOR MONEY AND THEREFORE, EVERY DIRHAM SPENT ON OUR SERVICES IS WORTH THE VALUE. OUR TEAM STRIVES HARD TO ACHIEVE THE CUSTOMER SATISFACTION THROUGH EXCEEDING THE EXPECTATIONS OF OUR CLIENTS. 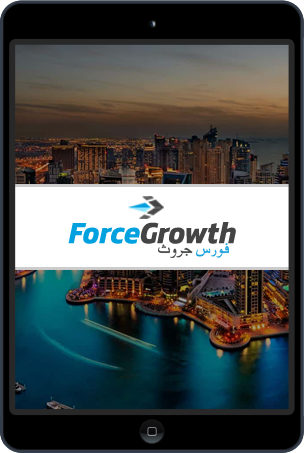 The ForceGrowth is a full-service digital marketing consultancy based in the United Arab Emirates. competentIt is the Powerhouse of skilled & competent digital specialists – who share the common passion for the digital world. We empower our experts to take initiatives and provide innovative ideas to experiment. Our capabilities and work-power of our team have the bandwidth to cover the arduous tasks and projects. We have over a decade experience of working as a digital marketing agency. With our vast expertise in the technology field, we have provided services to our esteemed clients all across UAE, i.e., Abu Dhabi, Dubai, Sharjah, Ajman, Fujairah, Al-Ain, Umm Al-Quwain, Ras Al-Khaimah, Al Gharbia and Dibba. We have a brilliantly talented team of diverse expertise, who is devoted to designing the suitable business marketing strategies, tools and solutions to your brand that can help you to attract, engage and retain your customers. We aim to provide our clients with an extensive and exceptionally affordable eMarketing strategies & solutions. At ForceGrowth, we aspire to cater your critical needs with the phenomenally executed marketing campaigns. We provide the right set of solutions within your submitted budget to help your business. Our committed team validates that provided services are precisely executed after in-depth analysis and extensive research, to support each and every client’s needs as per the desired or expected outcome. The drive of ForceGrowth is Customer Satisfaction; it is our Key Performance Indicator. Therefore, we assess our progress by our customer’s feedback. Build your innovative enterprise website with our in-house experienced team of Java, PHP & .Net programmers. Our team is motivated to merge regimen engineering practices with adaptability & flexibility to work on your brand standard website. Our deep technical capabilities ensure the facilitation or trading of your product is operated through a well-designed and deftly executed web portal. We have highly experienced team to build an exceptional interface for your E-commerce business. Manage the content of your website without any technical training, CMS website enables the user to create, add or delete any data of choice. It is simple, Get one for your business now through professionals. We offer an exceptionally designed service, which provides a standardized plan with SEO content that helps you to promote your business among your customers giving you an edge over your local competitors. Devise a plan of your website security, manage your database technology or simply change the hosting of a web page from one domain to another with the assistance of our specifically designated team for Website development. ForceGrowth is elated to be the authentic alliance partner of Bitrix 24 in UAE. We are offering Bitrix 24 integration, modification, configuration, and usability training within a range of economical packages. Register yourself now to learn more. As the reliable alliance partner of Zoho, ForceGrowth is offering customized Zoho Saas based productivity tools and applications. You can run your entire online operation successfully with Zoho suite. Contact us to order your customized solution.